Welcome to an exclusive safari lodge where highly trained game rangers and trackers guide guests into the wildness of Kruger National Park to see the Big Five and other fascinating creatures. 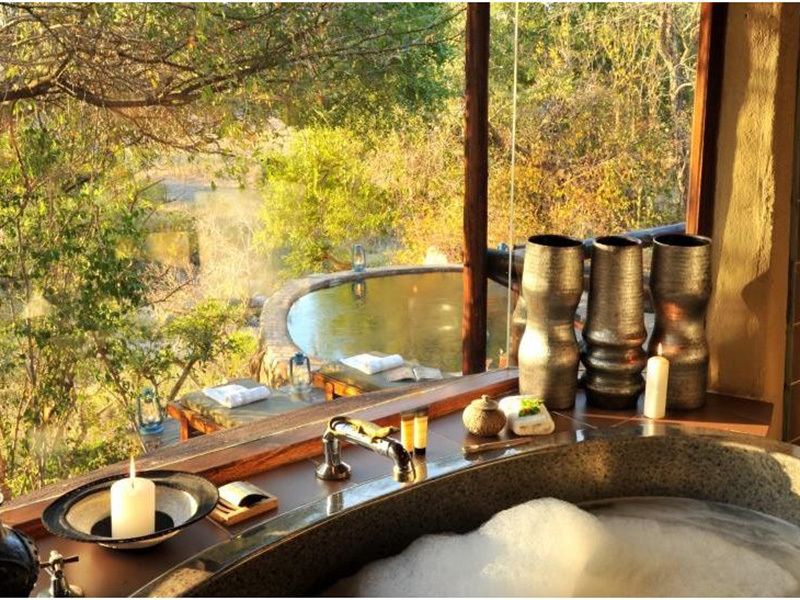 This is Lukimbi Safari Lodge, where elevated elegant suites are named after majestic species and feature private plunge pools on timber decks. Open wooden decks along the Lwakahle River link the social areas of Lukimbi in a subtle, attractive manner. That South Africa can boast such a wonderful safari lodge in the heart of premier game viewing habitats is amazing – highly trained game rangers and trackers guide guests into the wildness of Kruger to see the Big Five and other fascinating creatures including a wide variety of vibrant birds. With prime access to 15 000 hectares of pristine bushveld wilderness within the boundaries of the world-renowned Kruger National Park, Lukimbi Safari Lodge is a place of unique beauty and careful architecture. Accommodation in 16 suites is decorated with modern African furnishings making the most of the incredible river views – the use of colour is artful and tasteful, enhancing nature’s canvas outside. The Giant Eagle Owl and King Cheetah rooms include private pools and second bathrooms, dining areas, larger lounges, main bathrooms with huge bathtubs, inside and outside showers, and private pools on wooden decks. Classic suites present a sense of space where high windows allow nature to enter in all her glory and where the lounge is a level lower than the bedroom, flowing out to the private deck for some of the best game viewings ever. Elevated to make the most of the river views, these suites feature air-conditioning, fans, safes, tea and coffee facilities and minibars – children can share the space with their parents. The premiere suites are ideal for honeymoon couples with a bit more luxury thrown in – just in case! In the main lodge, imagine carved plaster panels showing intricate mystical creatures and African patterns, a photographer’s delight? Open wooden decks along the Lwakahle River link the social areas of Lukimbi in a subtle, attractive manner. While cooling off in the swimming pool, watch elephants frequently taking a quiet drink at the two pools on the way down to larger pools in front of the main guest areas. 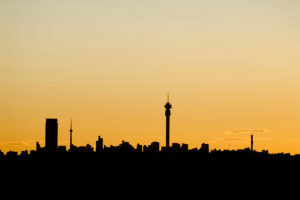 Firelit dinners featuring delicious South African dishes are very popular in the traditional boma. Morning and evening game drives teach guests about the local uses of herbs and trees, animals and birds. Track charismatic animals to get really close to these Big Five creatures. Bush walks at Lukimbi Safari Lodge can never be forgotten – seeing animals on foot is exciting and spiritual. 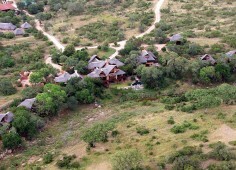 two game drives daily in open Land Rovers and a safari walk.